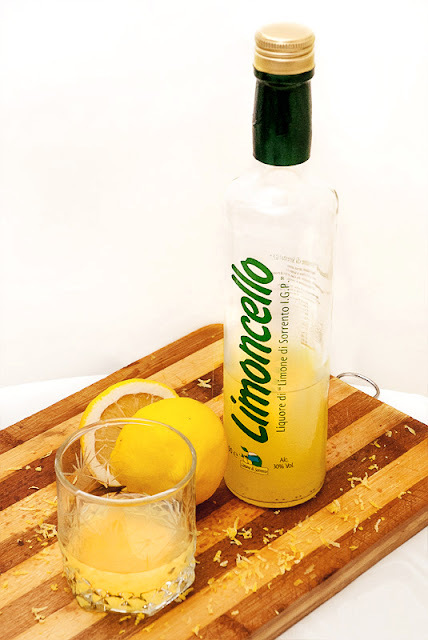 Limoncello is an Italian lemon liqueur. Traditionally, it is made from the zest of Femminello St. Teresa lemons, also known as Sorrento lemons or Sfusato Lemons. Lemon zest, or peels without the pith, are steeped in grain alcohol until the oil is released. The resulting yellow liquid is then mixed with simple syrup.